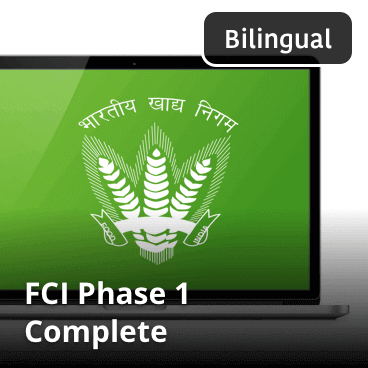 Finally, Food Corporation of India (FCI) has released recruitment notification of 4103 vacancies for Junior Engineer (JE) (Civil Engineering / Electrical Mechanical Engineering), Assistant Grade-II (AG II) (Hindi), Steno Grade-ii, Typist (Hindi) and Assistant Grade-III (AG III) (General / Accounts / Technical / Depot) on its official site. 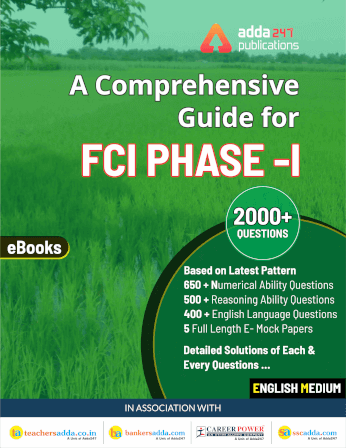 In this article, you will get all information about Exam pattern, eligibility criteria, selection procedure, etc. Crucial date for determining the age limit will be 1st January 2019.
Who can apply for the post of Junior Technical Assistant? Botany / Zoology / Bio-Technology / Bio-Chemistry / Microbiology /Food Science. No, a candidate can apply for any one of the posts and for any one zone only. What is the eligibility criteria for the posts- AG-III (General) and AG-III (Depot)? The eligibility criteria for both the posts is same i.e. Graduate Degree in any discipline from a recognized University with proficiency in use of computers but a candidate can only apply for any one post. For other details related to educational qualifications, scroll down for the table below. I am appearing for my last semester exams this year. Am I eligible to apply? Candidate must ensure to have fulfilled all the eligibility criteria, viz., qualification, experience, age, etc. as on 01/01/2019. The online test will comprise of Phase-I and Phase-II exams. 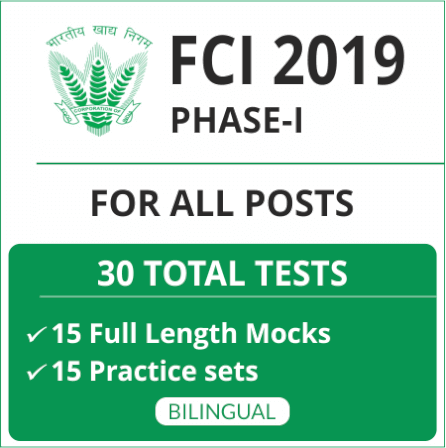 For detailed post wise exam pattern, click on the below link. What is the date for Online test? Online Test Tentatively in the month of April/May, 2019. What is the language of the online test? Online Test will be bilingual i.e. in English and Hindi except for language papers . How many candidates will be selected in Phase 2 exam and will the marks of Phase 1 be counted in the final merit? Marks obtained in Phase-I online exam will not be reckoned for final merit list. The candidates fifteen times the number of vacancies advertised shall be called for Phase-II examination. How many candidates will be called for document verification? The number of Candidates to be called for document verification may be equal to three times the number of advertised vacancies . Is there any negative marking in the exams? Will the cutoff be zone wise? Yes, The candidate will be considered for the post applied for, on the basis of his/her merit for the post within the Zone. Where will be the posting place after selection? The candidate on selection to a particular Zone of FCI is liable to be posted in any State within the jurisdiction of that Zone. However, they are also liable to be posted anywhere in the country in the interest of the Corporation. Science/ Computer Application with speed of 40 w.p.m. and 80 w.p.m. in typing and shorthand respectively. Typist (Hindi) (1) Graduation or equivalent. AG-III (Technical) 1. B.Sc. in Agriculture from a recognized University. The Candidates applying for the post (ANY ONE WITHIN THE ZONE) are required to submit APPLICATION FEE of Rs. 500/- (Excluding bank charges but including G S T ).